Ohhhhh!!! So many goodies came in! Check out this twist on a classic scarf! 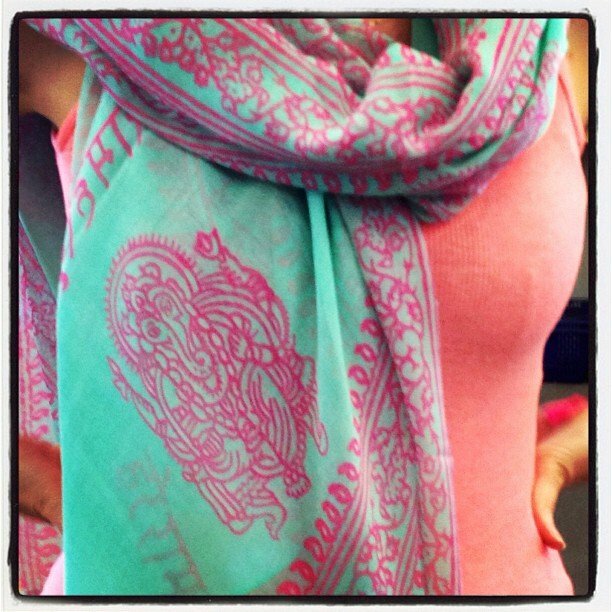 Ganesha mantra scarf in turquoise and pink. Also comes in charcoal/mint, tan/black and black/pink!